1. Beat eggs, honey (or sugar preference) and vanilla in a large bowl. Stir in pumpkin, salt and spices and mix to incorporate. Gradually stir in desired milk. Do not over mix. 2. 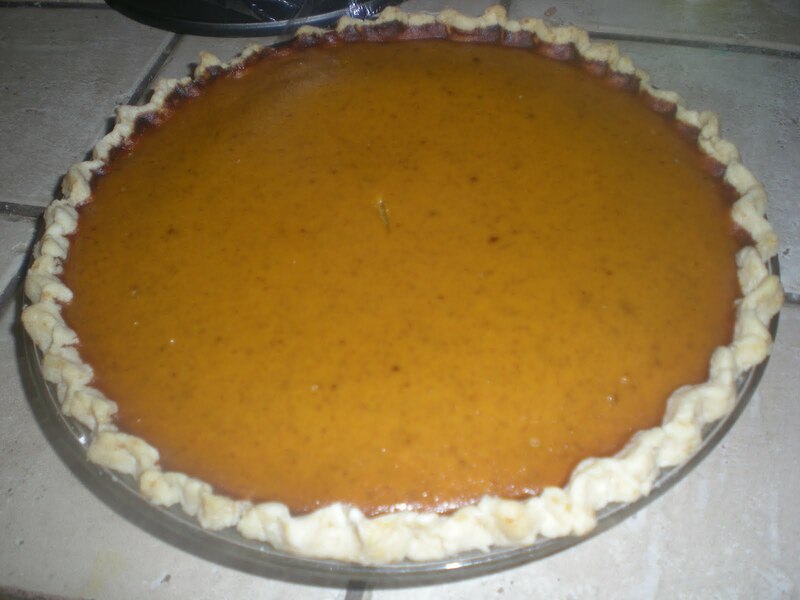 Pour into gluten free pie shell (see recipe below). 3. Bake in preheated oven for 15 minutes. Turn oven temperature down to 350 degrees and continue to bake for 40 to 45 minutes or until a knife inserted into the center comes out clean. ** Egg free - Omit eggs.. Mix 2 Tablespoons Flaxmeal to 6 Tablespoons very warm water. Let sit for 5 minutes to thicken then use the same as you would eggs. Also add 3 Tablespoons Arrowroot powder when adding the spices.